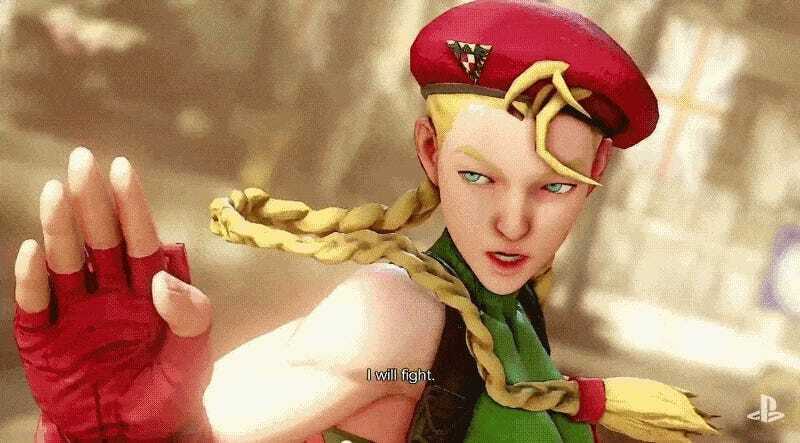 When Cammy was first shown in Street Fighter V, people online in Japan were not happy with the character’s appearance. Now, they are. As website Hachima Kikou noted at the time, Cammy’s SFV character design was called “exceedingly ugly” online in Japan. Sporting more angular features, the character did appear different from her Street Fighter IV incarnation (below), which had large eyes and rounder features. As you can see in the E3 trailer’s YouTube comments, many English-speakers appeared happy with the character’s design. Reading through the Hachima Kikou comments, some people felt the design was tailored for Western players and not Japanese players. “This looks like a face aimed at foreigners,” wrote one commenter. Other wondered if Japanese people were even making this game. “This is awful,” chimed in another. The latest screens, however, show a Cammy that appears closer in appearance to her Street Fighter IV version, with larger eyes and rounder features. Obviously, Cammy’s pre-order outfit is different, but ignore that. Focus on her facial features and the ways it appears tweaked. Online, commenters praised Capcom for Cammy’s “cute” character design, saying they would now be buying this game.